Are you looking for a versatile vehicle with great driving dynamics? 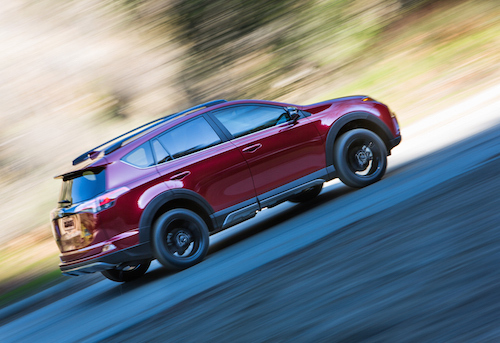 If so, consider the new Toyota RAV4 in Indio, CA. This popular model offers all the versatility of a full sized SUV as a compact crossover that handles like a sports coupe. With the best of all worlds, the Toyota RAV4 has something for everyone. See our entire selection of Toyota cars and trucks online and compare prices, estimated MPG, vehicle photos, trim and color options for Toyota RAV4s in Indio. We invite you to stop by our showroom and test drive a Toyota RAV4 in Indio, California . Our team is on standby to answer your questions and help you get behind the wheel of your next vehicle.